Paint is one of the easiest and most flexible ways to personalize your home. The color options are endless, and if you end up regretting your color choice, you can just paint over it. No huge commitments, no huge headaches. Granted, the process can be a hassle, particularly if you have to move a ton of furniture out of the way, but if you are doing it one room at a time, reinventing your space with a fresh coat of paint can easily be accomplished in one weekend. But what if you want something even more interesting than a unique – but solid- color on your wall? 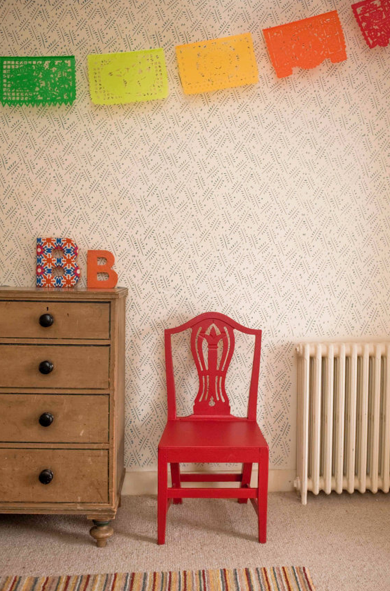 I absolutely love the look of wallpaper, but many people find the entire wallpaper process to be intimidating. You must choose a pattern and calculate the correct quantity for your space. Once you have the paper, it is often recommended that you hire a professional installer in order to ensure a smooth application. 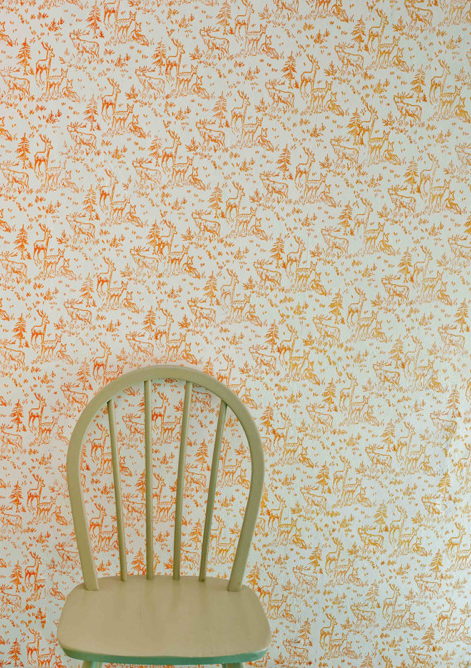 If you aren’t happy with the results, you are stuck with the exhausting task of wallpaper removal. 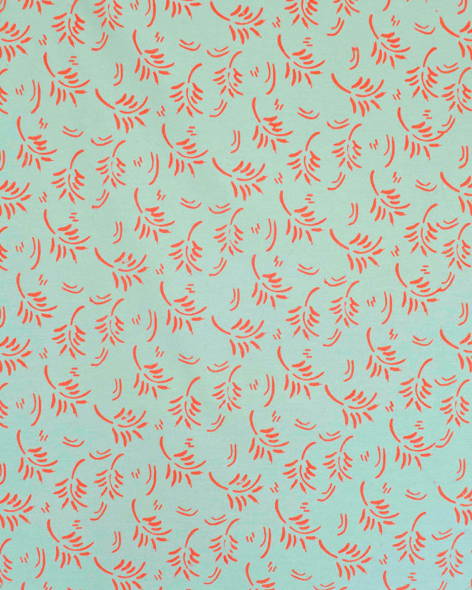 So what can you do if you dream of bold patterns and colors but aren’t ready to make the wallpaper commitment? 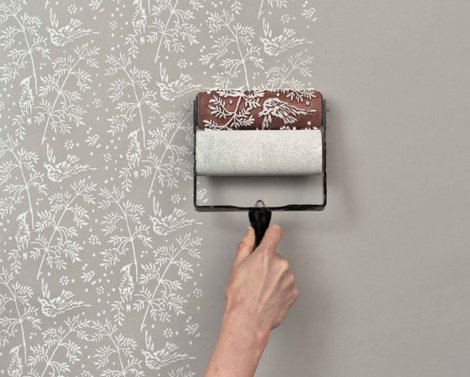 Use a patterned paint roller! Clare Bosanquet of The Painted House discovered the century-old tradition of paint rolling while hiking through Romania. She has since adapted the roller system for use on fabric and paper, in addition to walls. 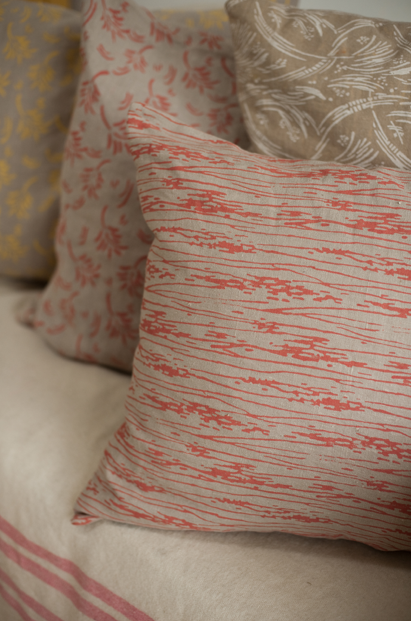 The look is a little bit vintage, but the possibilities for playful, modern color combinations are endless. 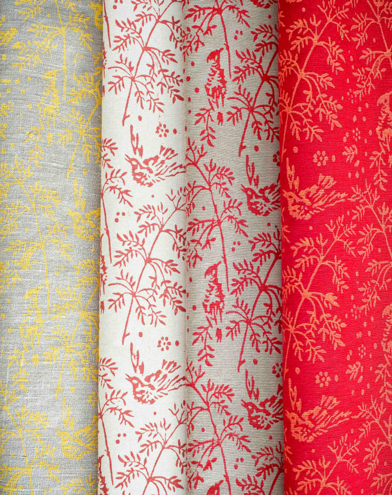 I love her images of painted walls, but I also love the look of painted fabric for lampshades, throw pillows, and curtains. It might take a little practice, but you could soon achieve the look of Galbraith & Paul for a fraction of the cost. 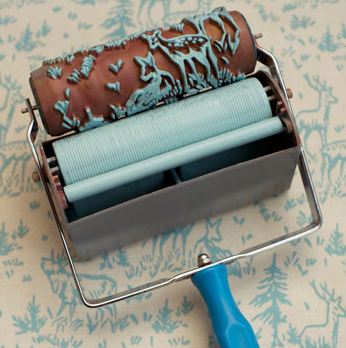 The patterned paint rollers are available through The Painted House’s shop on Etsy (http://www.etsy.com/shop/patternedpaintroller?ref=seller_info). Although based in the UK, shipping prices to the US are reasonable, especially when you consider that you can use your roller over and over again on a variety of applications. You can also visit The Painted House’s website (http://the-painted-house.co.uk/) for step-by-step instructions and design ideas.